This first Data Note on the Scaling Community College Baccalaureate Degrees: The Equity Imperative research project provides baseline information on relatively new forms of baccalaureate degrees, reasons colleges adopt these degrees, and concerns identified for expanding these degrees to more states and postsecondary institutions. A decade ago I partnered with Barbara Townsend to co-lead a national study of applied baccalaureate (AB) degree adoption and implementation in the United States (Townsend, Bragg & Ruud, 2009). This study looked at the conferral of AB degrees by predominantly associate and baccalaureate degree-granting institutions, with in-depth study of AB degrees conferred by community and technical colleges, referred to as community college baccalaureate (CCB) degrees. Our study of baccalaureate degrees in these distinct contexts was intentional as we sought to understand factors that contribute to baccalaureate degree expansion, particularly in associate degree-granting institutions in a growing number of states. 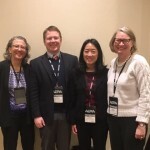 Today, our Community College Research Initiatives (CCRI) group at the University of Washington is partnering with New America’s Center on Education and Skills (CESNA) to refresh and expand understanding of AB and CCB degrees nationally, looking again at state adoption and implementation of these degrees in the two- and four-year institutional contexts. With generous support from the Joyce Foundation and Lumina Foundation, our two-year project documents policies and processes; develops a set of consensus design principals and frameworks featuring evidence-based and equity-focused promising policies and practices on state adoption and institutional implementation; and disseminates lessons from past successes and failures. Our joint team will also identify opportunities to spread promising practices based on empirical evidence of the scaling of these degrees since our first national landscape study. Learn more about the four distinct but related strands of work that are being carried out by our joint team by downloading the full data note below. This Data Note is the first in a new series from CCRI partnering with New America’s CESNA on Scaling Community College Baccalaureate Degrees: The Equity Imperative research project funded by the Joyce Foundation and Lumina Foundation to study AB and CCB degrees nationally, looking at state adoption and implementation of these degrees in the two- and four-year institutional context. Read CCRI’s publications related to new baccalaureate degrees and more about the project here.